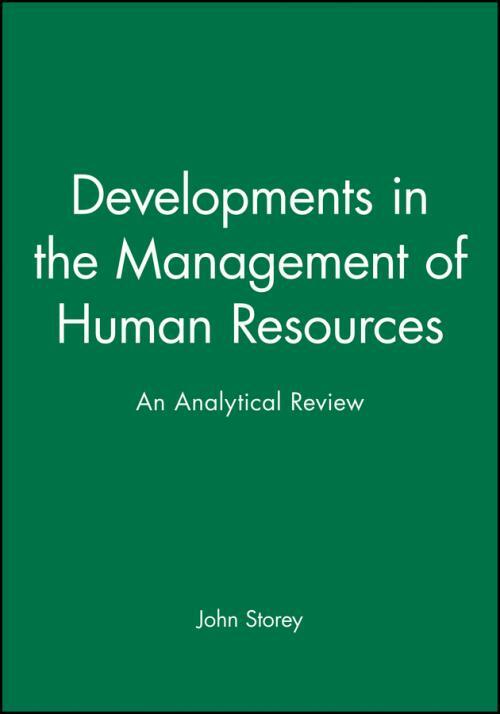 This unique book is based on thorough research which closely analyzes changes and developments in the management of human resources. The author draws on over 300 in–depth interviews with managers at all levels – including many active "line" managers, which gives the survey a strong practical approach, rather than the conventional "personnel" picture. Considers corporate culture and strategy, and focuses on their impact in industrial relations and human resource management. 3. Mainstream Companies in Transition. 4. Managing Human Resources in Practice: A Thematic Analysis. 5. Managing the Process of Change. 6. The Part Played by Personnel Specialists in the Management of Human Resources. 7. The Part Played by Senior and Middle Line Managers in the Management of Human Resources. 8. The Part Played by First Line Managers in the Management of Human Resources. 9. Trade Unions and Industrial Relations.